By Katherine Zeratsky, R.D.N., L.D. People who’ve had calcium oxalate kidney stones do need a certain amount of calcium in their diets. Although almond milk and other plant-based milks, such as soy milk, contain calcium, they also contain oxalate. People with a history of calcium oxalate stones often are cautioned to avoid oxalate-rich foods. Cow’s milk doesn’t have oxalate, and it does have the calcium you need, so it is a good choice. Kidney stones made of calcium oxalate form when urine contains more of these substances than the fluid in the urine can dilute. When that happens, the calcium and oxalate form crystals. At the same time, the urine may lack substances that prevent the crystals from sticking together, creating an ideal environment for kidney stones to form. It may seem to make sense that when calcium and oxalate make up the kidney stones, then avoiding both should help. But calcium is a critical part of your diet. Your body needs it, not only to keep your bones healthy, but also to help regulate your blood pressure and aid in muscle function. Oxalate is a naturally occurring substance found in many foods. Some fruits and vegetables, as well as nuts and chocolate, have high oxalate levels. Your liver also produces oxalate. A key for preventing growth of calcium oxalate stones is to get the right amount of calcium. 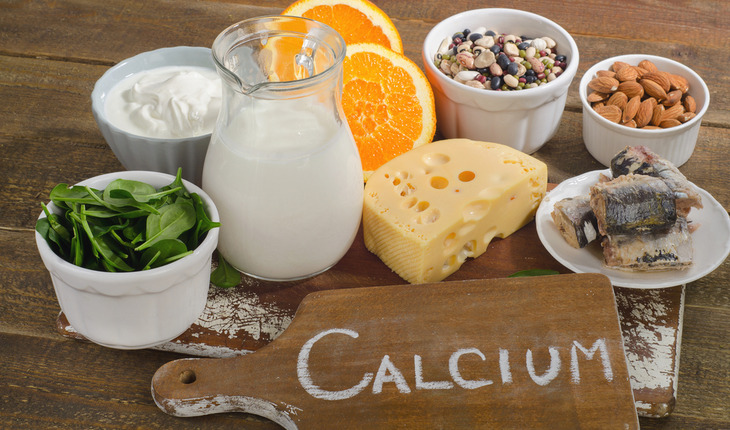 A typical recommendation is to have 1,000 to 1,200 milligrams of calcium every day. If you have calcium-rich foods or beverages at each meal, you lower the amount of oxalate absorbed into your bloodstream, reducing your risk of new kidney stones. For the best stone prevention, calcium should come from food and not calcium pills. When you consider good sources of calcium, dairy products are high on the list. Check the Nutrition Facts label to find out how much calcium is in these and other beverages and foods. In addition to getting the right amount of calcium, there are other changes you can make to reduce your risk of calcium oxalate kidney stones. For example, it’s important to drink plenty of water and other fluids. Drink about 8 to 10 ounces of liquid each hour you’re awake. The easiest way to know whether you’re drinking enough fluids is to look at your urine. It should be almost clear. You also may need to cut down on foods that are rich in oxalate. Unfortunately, oxalate content is not listed on food labels. The highest amounts of oxalate are found in certain fruits, vegetables and other plant foods, such as nuts. Meats, eggs, dairy products, white rice and pasta are generally low in oxalate. If your health care provider recommends you limit oxalate-rich foods, consider meeting with a dietitian to evaluate your diet. Sugar and sodium can raise the risk of developing kidney stones, so limiting both in your diet also will help. Finally, too much meat, chicken or fish can increase the likelihood of kidney stones. Limit these foods to no more than 3 ounces at your midday meal and 3 ounces at your evening meal. For more information on diet changes that can lower your risk for kidney stones, talk to your health care provider or a dietitian. He or she can help guide your dietary choices to reduce your risk of stones while still getting the nutrition you need. Katherine Zeratsky, R.D.N., L.D., is a Regisered Dietician Nutritionist, Endocrinology/Nutrition, at the Mayo Clinic, Rochester, Minnesota.